Participant List: Prof. Luis Torres Rosa, Prof. Rafael Aramis López, Prof. Cielo Martín Zayas, Prof. Noel Cuevas Fuentes, Prof. Maritza Hernández Nieves, Prof. Gilberto Sánchez García. QuarkNet is an educational program whose aim is to support science education in High Schools by establishing a nationwide teacher network. The Goal is to bring high school Students, Physics Teachers and Particle Physicists to learn together frontline physics. QuarkNet Centers provides an opportunities to establish a mentor relationship with local Universities Professor to work together on High Energy Physics (HEP) experiments and explore the world of Elementary Particle Physics. This program is funded by NSF (National Science Foundation) and the DOE (Department of Energy) Office of Science. One Day Workshop at University of Puerto Rico, Mayaguez. Teachers Noel Cuevas and Cielo Martin attended to "World Year of Physics Symposium" at FERMILAB. Teachers Noel Cuevas and Cielo Martin attended to "World Year of Physics Symposium" at FERMILAB. 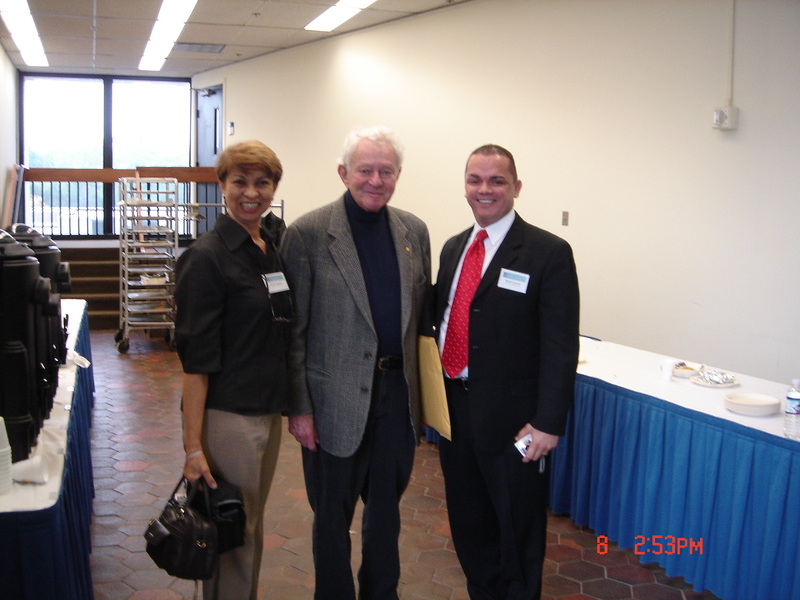 The First UPRM Associate Teacher Institute took place at the University of Puerto Rico Mayagüez during June 6 to June 17, 2005. Several ACTIVITIES were carry out during this two weeks institute. The two weeks schedule included laboratory session on: Photoelectric Effect, Cosmic Rays, etc. talks on Standard Model of Elementaries Particles, Big Bang Theory, Monte Carlo Simulation, Special Relativity, Physics of Cancer, Grid Computing, LHC (Large Hadron Collider), etc. and field trips to: Arecibo Observatory and UPRM Planetarium. See Photo album of people working at the UPRM QuarkNet Center at Mayagüez.